53 years ago today a naval officer passed away following a heart attack, suffered after 82 years of a turbulent life full of wars, political struggles and exiles. A life shaped by the sea. The full name of the marine registry is Huseyin Rauf, the son of Mehmet Muzaffer from Cibali. His biography you will read below was originally written in Turkish by Uğur Esmer, a very fine history student and a naval enthusiasts. I have shortened and translated his text to English. Any syntax or grammer mistakes you will find are mine. If you want to read the original text please click here. Rauf Orbay, born in 1881 as the son of Mehmet Muzaffer Pasha, the First Ferik (Admiral) anda member of the Ayan Parliament, continued his education at the Primary School in Cibali Primary School. The finished his studies in Tripoli after his father was appointed as a commodore to serve here. Later, in 1896, he returned to Istanbul to continue his family tradition and enrolled in Heybeliada Naval High School with the number 320. On March 29, 1899, he was appointed as a lieutenant to the Selimiye frigate as an engineer for training. 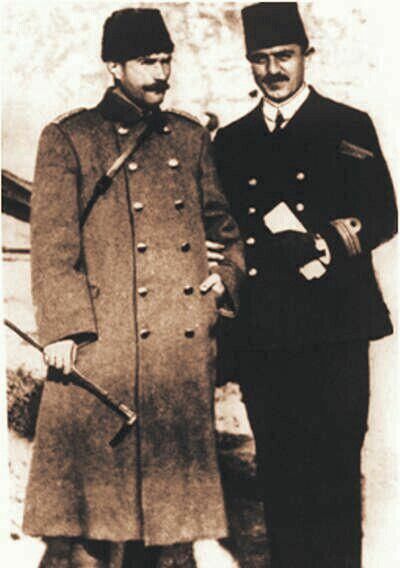 After this training, he was appointed as a navigation officer on to ship İdare-i Mahsusa Garp on 1 April 1899. On September 29, 1900, he was appointed as a navigation officer to the Mesudiye armored cruiser. On April 9, 1901, he was promoted to First Lieutenant. On April 23, 1904, he was promoted to captain. Being fluent in English and a successful officer, he has begun to stand out in international contacts and meetings. Rauf Orbay was assigned to the armored vessel Mesudiye on 23 August 1904. During this duty he became interpreter for Buckham Pascha. He was in real life Ransford D. Buckham, a captain of one of whaleback steamers who commanded Mesudiye on her delivery voyage from USA to Istanbul. He decided to stay in Turkey, and was eventually promoted to Rear Admiral with the title of Pasha. He was a consultant in the Ottoman Navy and together with Rauf Orbay they made a trip to the shipyards in England and America. Both man created a close friendship was established between them over time. While they are in America, Bucknam Pasha and Rauf Orbay went to the White House, to meet with the President of the United States. When they entered the president’s office, they saw a man sitting on the table, shaking his feet and reading a document. Rauf Orbay thought this guy to be the president’s secretary. He asked Buckham Pascha, who this rude man was, who did not even lift his head. Buckham replies that the man sitting on the table was no one else but the President Theodore Roosevelt. President Roosevelt gave Rauf Orbay a signed special permission document to examine the shipyards and submarine construction sites at the end of the day’s talks. A young lieutenant named Chester Nimitz was assigned as a guide to Rauf Orbay during his visits to the submarine shipyard. They have found an opportunity for a short trip on a submarine. Unfortunately there was a problem with the submarine and they had to stay submerged 10 long hours before surfacing again. In October 1906 he was assigned to the crew tasked to bring the armored vessel Asar-i Tevfik back from Germany after her repairs were completed. 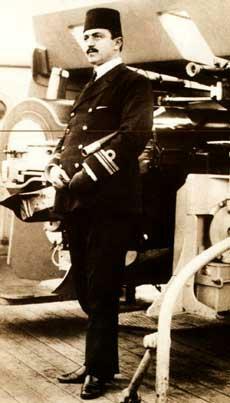 In March 1907 he appointed as the commander torpedo cruiser, Peyk-i Şevket. With Peyk-i Şevket he took part in the operations to suppress the Sisam uprising. In the same year he also participated in the activities of the Movement Army, that came to Istanbul because subdue the March 31 Uprising. During his involvement with the Movement Army he met with Mustafa Kemal Bey (Atatürk) and İsmet Bey (İnönü). This acquaintance would shape his life in a profound way. For Rauf Orbay the most important day in his life is May 5 1909, the day he was assigned as the commander of the cruiser Hamidiye. This was an important milestone and turning point in the history. Hamidiye, a protected cruiser order to Sir W. G. Armstrong Whitworth & co, in Newcastle on 1900 and commissioned in Ottoman Navy in 1904 was one of the best warships built and served 40 years, well into the 20. Century. Hamidiye had a displacement of 3600 tons. Her length was 128 meters and width 12 meters. Her main armament consisted two 152mm quick firing guns. The secondary armament had six 101mm, three 76mm and 4 57mm guns. Additionally she had two 533mm torpedo tubes. Her speed was up to 27 kts. She could bunker 710 tons coal. The first mission of Rauf Orbay and Hamidiye was to help to suppress the rebellion in Albania. In 1911 Hamidiye was selected to represent Ottoman Empire at the coronation ceremony of King George VI of England. The Greek Army started to occupy islands near Anatolia with the help of the Greek Navy. With the help of the battleship Averof, Greek Navy was effectively blockading Dardanelles. Rauf Orbay thought to use his ship as a bait by sailing to Aegean and forcing Averof to follow him. Thus creating an opportunity for the Ottoman Navy to break the blockade. He explained his plan to Minister of Navy Çürüksulu Hasan Paşa and got the permission. The naval commander and his deputies assembled a warplane action plan and identified the neutral codes for the ship’s radio codes and the ship’s shelter. The call sign of the Hamidiye would be “Fox”. On January 13, 1913, Hamidiye sailed to Kepez Bay and dropped the anchor. Rauf Orbay ordered to flammable materials such as diesel and sawdust on the deck and informed Ottoman Naval HQ in a clear radio transmission about the fire. Later that that night, hidden in the darkness Hamidiye sailed out of Dardanelles. The cruiser started her raid that would last 7 months and 23 days. The first target of the raid was Ermoupoli port on Syros Island. When Hamidiye arrived, the auxiliary cruiser Macedonia as in port. Hamidiye open fire on Macedonia causing her to sink in shallow water. The Ottoman warship also shelled the gunpowder factory and the power plant. This raid created excitement and indignation but Greek Navy refused to take the bait. The battleship Averof stayed off Dardanelles and Hamidiye was pursued by other ships. According to the original plan Hamidiye was turn to İzmir but Rauf Orbay decided to sail to Adriatic Sea and harass the Greek merchant ships there. The ship’s engines were not producing the maximum power due to the bad quality of the coal aboard. It was decided to go to Beirut for coal supply. During the supply an unidentified warships was spotted on the horizon. Hamidiye had to stop refueling and leave the port immediately. Rauf Orbay commanded his ship to Port Said. The Egyptian government being neutral during the Balkan Wars, said it would not be able to supply more than 150 tons of coal. Rauf Orbay decided to sail to the Red Sea. With this move Ottoman Naval HQ would gain time to find suitable grade coal to supply Hamidiye and transport it to a port in Eastern Mediterranean. Rauf Orbay who had a good sence for diplomacy and politics visited the Khiedive of Egypt, asking for coal. The Khidive agreed but with the condition that the lading of coal should be done in a remote area as it was against the neutrality rules. Hamidiye sailed to Jeddah arriving here on February 3. The ship then sailed to north and again passing through Suez Canal. On February 14, Hamidiye entered Grand Harbour of Malta saluting the Royal Navy ships with guns. Again showing his diplomacy skills Rauf Orbay extended the duration of his visit from 24 hours to 72 hours and loaded 450 tons of coal. Greek Navy dispatched armored vessel Psara and destroyers Aetos, Lonchi, Aspis to protect the Adricatic coast and to intercept Hamidiye. While the Greek ships were searching for her Hamidiye arrived in Gaza. 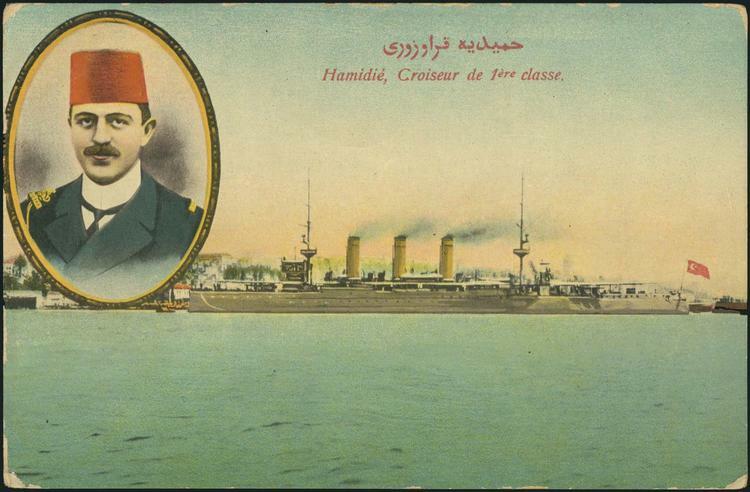 Hamidiye spend some time in Eastern Mediterranean before Ottoman General Staff tasked the ship to carry gold and ammunition to the Ottoman army in Albania. Hamidiye set sail from Papadola (Babadil) with 50 tons of ammunition and 10.000 gold cargo on 8 March 1913. Hamidiye was almost identical to Italian cruiser Drama. Therefore when passing the Otranto Straits between Greece and Italy the Italian Naval flag was ready to be hoisted, if necessary. Hamidiye and Greek destroyer Lonchi sighted each other from the distance, but noting happened as the larger ship was mistaken as Averrof by the destroyer. On 12 March 1909 at 03.24, Hamidiye encountered Greek merchant ship Leros. The merchant ship was ordered to stop and her 20 strong crew was taken on board. As gun fire would create unnecessary attention Rauf Orbay decided to sink Leros by ramming. The crew of Leros were put on a nearby island with a few days’ food, water, rifles and ammunition to defend themselves against the gangs on land. After exiting Adriatic, Hamdiye returned to the Eastern Mediterranean and remained there until the end of the hostilities. At the end of the campaign, Rauf Bey took his place in memories as a protagonist of Hamidiye. The raid of Hamdiye failed to achieve its main goal to lure Averrof to follow her. Never the less this raid created distraction for the enemy and galvanized the Ottoman public opinion. Rauf Orbay was choosen to be the commander of the first Ottoman dreadnought Sultan Osman-ı Evvel ordered from England. A few hours before the flag rising ceremony, UK decided to seize the ship because of the looming World War 1. Rauf Orbay spend the World War 1 desk bound. In 1917 he went to Germany to visit Emperor Wilhelm along with the Naval Minister Cemal Pasha and the Undersecretary Vâsıf Bey. In September same year he was promoted to Captain. After the Russian Revolution of 1917, he attended the meeting in Copenhagen as the President of the Turkish Delegation. Later, he represented the Ottoman Empire as a naval delegate at the Brest Litovsk Peace Conference. At the end of the war, when the existing cabinet resigned he was chosen as Naval minister on the newly established Ahmet Izzet Pasha Cabinet, on 14 October 1918. 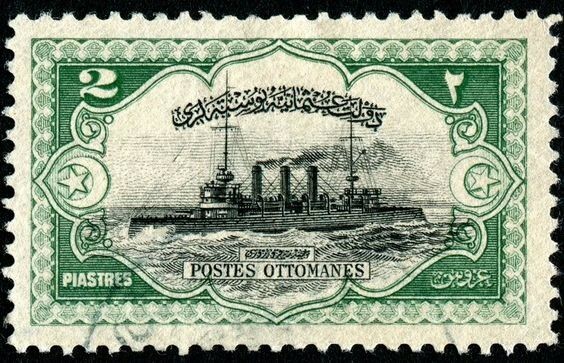 On 30 October, Rauf Orbay signed on behalf of the Ottoman government the armistice agreement on board of HMS Agamemnon at the port of Mondros. One week later he resigned from the Navy but his resignation was not accepted. He finally resigned from the military on May 3 1919 ending a very successful and inspiring naval career. Later in May, he joined Mustafa Kemal Pasha and others in Anatolia. He is one of the signatories of the declaration of Amasya. In January 1920 he returned to Istanbul to attend the Ottoman Parliament as the deputy of Sivas town. In March 1920 he was arrested by the occupying British Forces and send to exile to Malta. In November 1921 he was released and returned to Turkey. He proceeded his political career in Ankara. In November 1921 he was elected as Minister of Public Works. On July 13, 1922, Rauf Orbay was elected as the Prime Minister, becoming the first prime minister of the Grand National Assembly. In 1924 Rauf Orbay was among the founders of Terakkiperver Cumhuriyet Party, an important step on transition to a multi-party democratic regime. When the party was closed because of the Sheikh Said uprising, like many other members of the party, he chose to be an independent deputy in the parliament. In 1926 Rauf Orbay who has been suffering from tropical malaria went to Austria to be treated in Bad-Gaschtein baths, After the treatment was over, he went to London to visit famous Turkish writer Mrs. Halide Edip Adıvar and her husband in London. During his stay in London, a plot to assassinate Mustafa Kemal was uncovered in İzmir. Rauf Orbay was accused to be among the conspirators and was tried in absentia. He was sentenced to 10 years of confinement in a fortress, deprivation of civil rights and the seizure of the goods. Rauf Orbay never accepted his crimes but could not immediately return to Turkey because he did not have the ability to appeal. Rauf Orbay spent his days in England, India, China and Egypt. During his travels to India he gave lectures on Indian Revolutions and the Turkish Revolution in Delhi and other major cities. His sentence was pardoned in 1933 with a general amnesty declared for tenth anniversary of the Turkish Republic. Rauf Orbay refused to return to Turkey as this move would mean to accept the pardoned accusations. It was in 1939 and only after the ruling Republican People’s Party’s nominated him directly as a candidate for deputy of Kastamonu and officially declaring that he had not involved in the assassination plot in 1926 Rauf Orbay returned to his homeland. Though he was elected as deputy from Kastamonu he remained uninvolved in politics and resign from his post when he was assigned as Turkish Ambassador to United Kingdom, in 1942. Membership. He continued until March 9, 1944, when the London Embassy resigned. The tailor in London turns out to be the captain of the Greek merchant ship Leros, Rauf Orbay had ordered to be sunk. Rauf Orbay resigned from his post as Turkish Ambassador to United Kingdom in 1944. Same year when we has visiting his nephew in USA, they rendezvous for a breakfast in a hotel. When in hotel Rauf Orbay notices an official car with an admiral’s pennant drive in. Red carpet is rolled out and a few Marines start to stay guard. An adjutant arrives at the table of Orbay’s and tells them that the admiral wishes to join them. A few minutes later the admiral arrives and shakes hands saying “Welcome to USA, Admiral”. The american admiral is noone other than Chester Nimitz, whom Rauf Orbay had met when Nimitz was a Lieutenant. Rauf Orbay corrects him saying that he had never made to the rank of admiral and resigned as a captain. Admiral Nimitz says “We have always followed you from the beginning. You are an admiral in our regard”. Rauf Orbay spent the rest of his life away from the sea and politics. He died at his home in Cihangir, İstanbul, 16. July 1964, Thursday at 13.20 from a heart attack. Due to his will, he is buried in Sahra-yı Cedit cemetery next to his father.